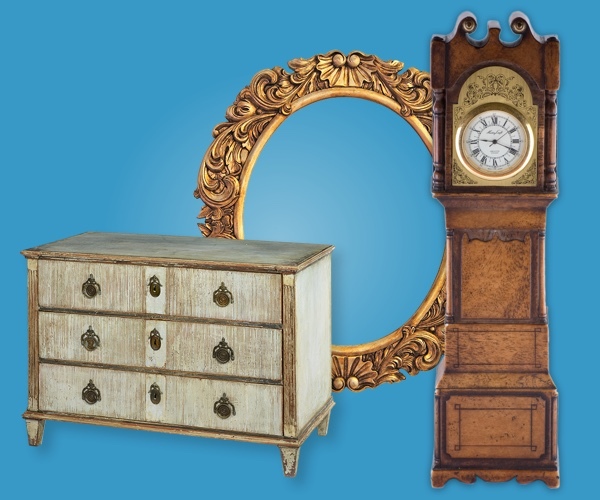 Navis Pack & Ship specializes in the packing, crating, and shipping of all types of antiques. Whether you’re shipping heirloom furniture to family members, or need to ship to multiple beneficiaries in an estate distribution, our custom services will ensure your antiques will be packed, palletized / crated / boxed and shipped safely to any location worldwide. Whether you’re shipping a statue, grandfather clock or a colonial desk, Navis gets it there with care. We understand the packaging and shipping requirements for your delicate antiques. Based on more than 30 years of experience, the professional antique shippers at Navis Pack & Ship can put together a shipping quote which offers time-definite deliveries, superior packing, declared value coverage, and personalized tracking for peace of mind. International expertise that ensures your antiques’ shipment meets complex customs regulations.